Abdi Mohamed – Voting has already started across Britain this morning. And the Somali voters in Cardiff, the Welsh Assembly elections will certainly give them opportunities to improve political participation and influence change. Moreover, it will empower them feel belonging, included in mainstream society as one of their beloved sons is strongly campaigning – though he is going to be a Councillor candidate in May 2017 – for a party that they have never been associated with or voted for. Cardiff is home to a long standing Somali community who play a huge role in the life of the city. They have lived in the city since the 1850s and have served the armed forces, the NHS, schools and education institutions, service providing agencies and the voluntary sector. However, political participation has been a challenge which they could now overcome with the help of one young man. 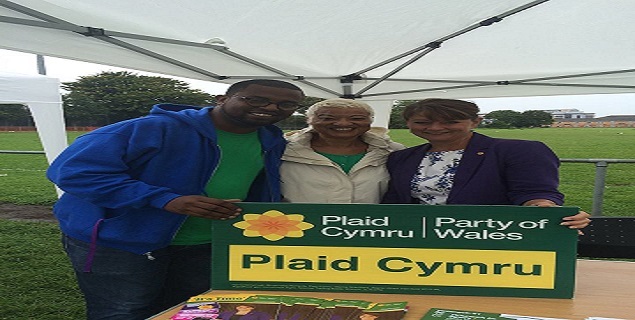 Born and bred in Cardiff; the grandson of a British Somaliland army police officer and the son of a merchant navy seaman, Nasir Adam is the first Somali Plaid Cymru politician in Wales. He is the councillor candidate for Butetown in Cardiff in May 2017. But what does it mean to be a Welsh Somali politician? And what has motivated him to join his chosen political party? Community activism and social justice pretensions are central to Mr Adam’s political ambitions. In 1986, at the age of six, his dad took him to a rally in London where they were protesting against Siyad Barre’s brutal regime and the Somali army’s widespread, systematic violence and atrocities against civilians of northern Somalia – now Somaliland. Seeing people demonstrating and voicing their concerns ‘cemented’ himself as a community activist. “I truly believe in social justice and fairer society where everyone has equality of opportunities. I always involved in politics as a community activist and I always wanted to create a difference on grassroots level. “Plaid Cymru’s commitment to grassroots appealed to me. I joined Plaid Cymru for their values and what they want to achieve in Wales. As Project and partnership Development officer at Cardiff Community Housing Association (CCHA) enabled him gain a “first-hand experience of the issues faced by the people in the local area”. Investment in the area is crucial to the economic development and employment prospect of young people. Mr Adam says that he has extensive knowledge and experience of working in some of the most deprived wards in the city of Cardiff. “I was successful in securing funding for two of these wards: Trowbridge Community Regeneration – secured £5 million from the Welsh Government; Loudoun Square Regeneration Projects – secured £13 Million which involved three-way partnership with Cardiff Health Board, CCHA and Cardiff Council,” he added. Mr Adam – who holds degrees in marketing and law, and community education, and a postgraduate in strategic leadership – says that he really wants to “lead by example” and be a “role model” for young people. “I want to show the next generation that anything can be achieved and that the sky is the limit,” he stresses. This shows that he is not only very confident of getting elected and becoming the first Somali Plaid Cymru councillor in Cardiff, but he also feels that nothing can stop him realise his political ambitions.